Whether you celebrating a new job or exam success, make it that much sweeter with this delightful hand-tied bouquet. A festival of colour, the bright sunflowers and peach roses practically jump out at you. 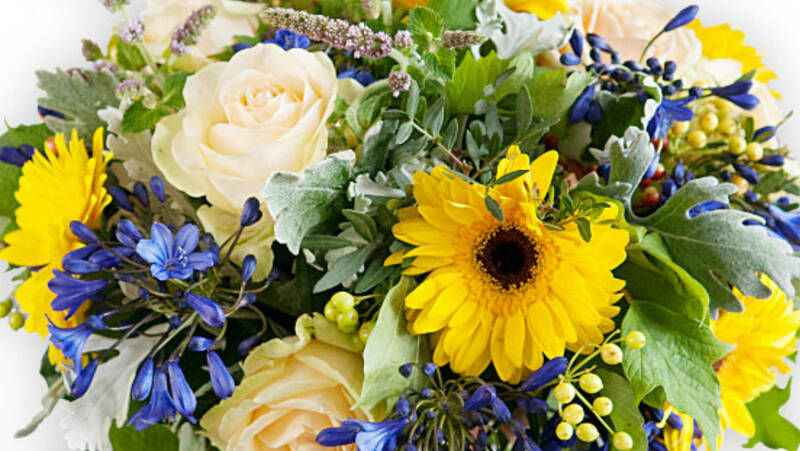 A beautiful summery mixed bouquet, this arrangement will fill you with happy memories of lazy summer afternoons even in the bleak mid-winter. Whole bouquet barely lasted a week.